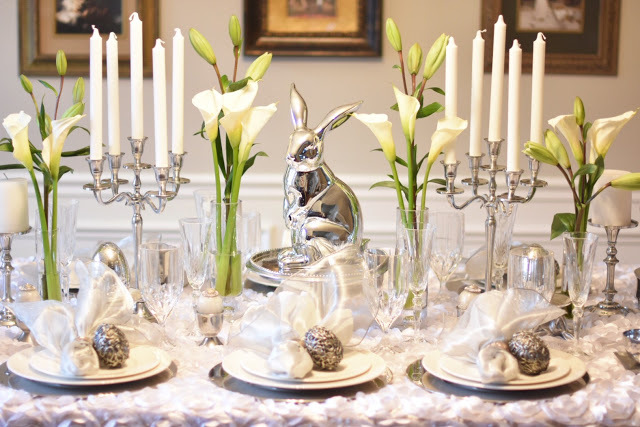 One of my favorite table stylists, Etched in Colloquy shared this elegant silver and white tablescape for Easter a few years ago. Sadly, she isn’t blogging any longer, but you can still follow her on Instagram. 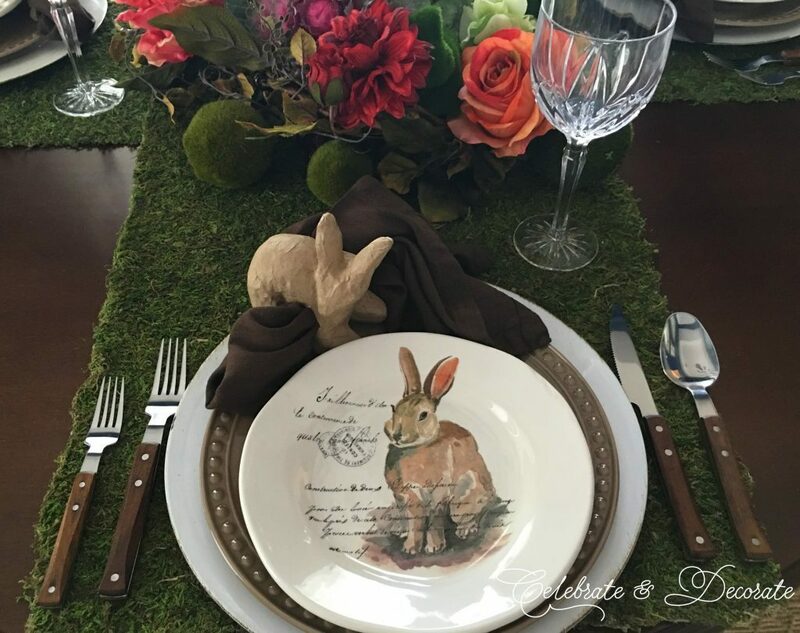 This proves that an Easter table doesn’t have to be an explosion of color! Do you have one of these old toolboxes? These are perfect for a rustic Easter centerpiece. I filled mine with faux carrots and cabbages, and mossy little bunnies along with some nests of pastel Easter eggs. 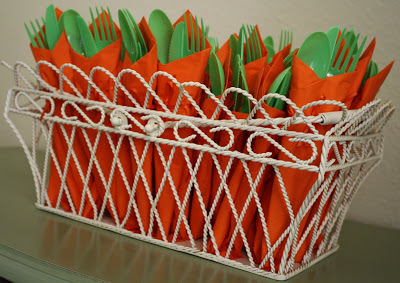 If you are having a casual East gathering, why not wrap up some green plastic cutlery in orange napkins so you have a bunch of carrots for folks to pick from? This cute idea is from Courtney at A Diamond in the Stuff! 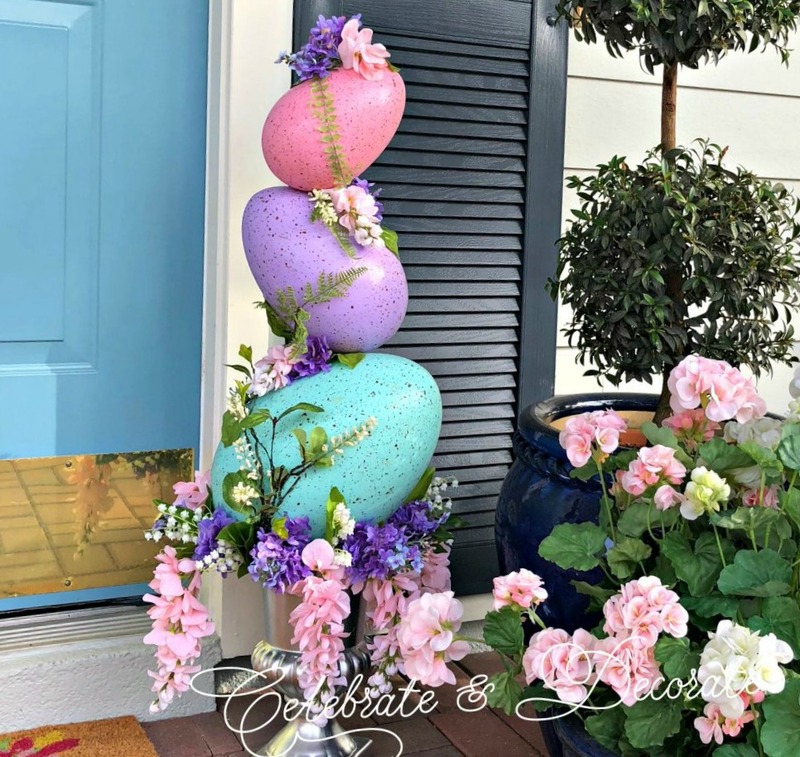 Last year I made this fun Easter egg topiary to greet guests on the front porch. This will be coming out of the closet and appearing on the front porch, or maybe the hearth again this year! You can follow along the tutorial on my post or on YouTube. 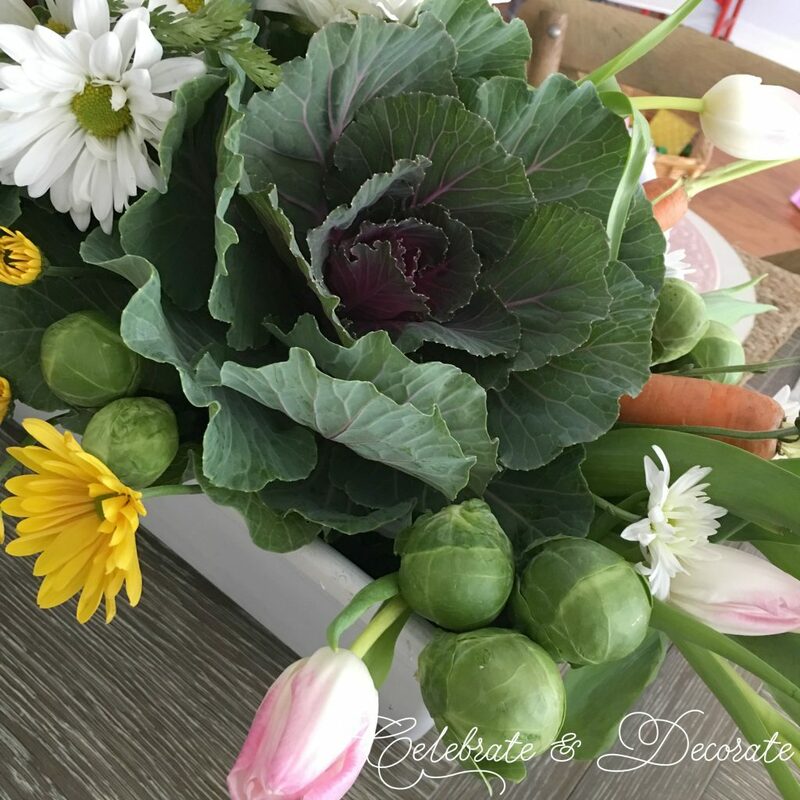 Go all natural with your Easter centerpiece like I did with this fun assortment of cabbages, carrots, flowers and brussel sprouts. 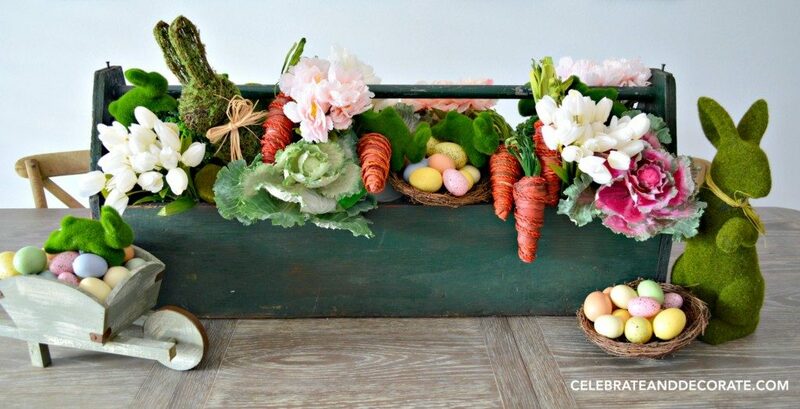 Carrots, Cabbage and Tulips will show your the entire centerpiece! 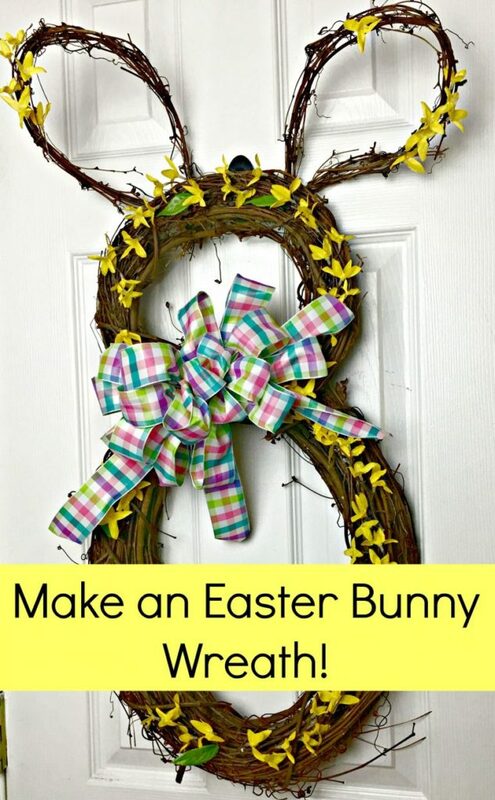 Make yourself an Easter Bunny Wreath this year! It is so simple and such a fun way to decorate your door! 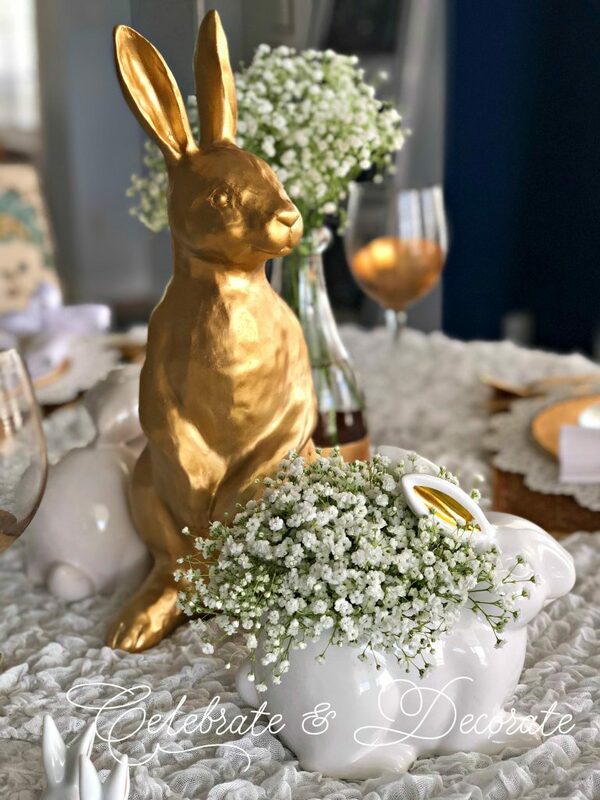 If you want a more natural look to your Easter table, consider using these moss sheets as table runners like I did when I set an Easter Table with a Natural Touch. These mats are not as messy as regular sheet moss, so you don’t need to worry about moss and dirt getting onto your dinner plates. 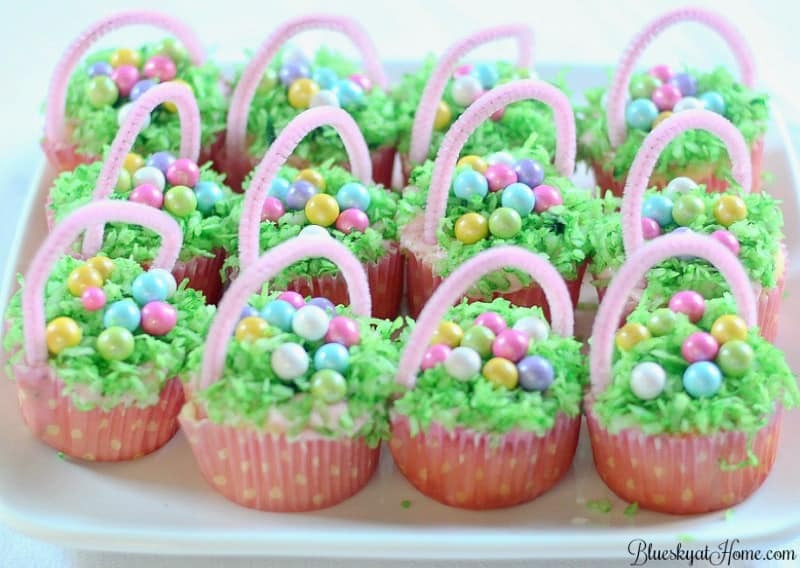 These Easter Basket Cupcakes are the cutest AND sweetest thing! Carol at Bluesky at Home gives you a delicious homemade cake recipe and all the instructions! Whatever your plans for Easter, get creative and add some of your personality to the celebration! Love your decorating style, where do you get your floral pieces? Like the cabbage , carrots and sprouts? I can never find them . Thank you Kim! I always have my eyes out looking for unusual pieces like those. I have had those cabbages for a while, but I think I found those and the carrots at Hobby Lobby. The sprouts are actually real! I love all of these ideas! So many pretty styles…each different and beautiful! Hugs! Oh Chloe your egg topiary is incredible!! So many cute ideas today, I love your centerpieces too. Spring is full of so many fun holidays! What fabuous ideas my friend! Spring and Easter and fun!